In June, I collaborated with Alite Designs — an awesome outdoorsy design company whose HQ happens to be one block from my house — to make some sweet dishes that are perfect for camping. 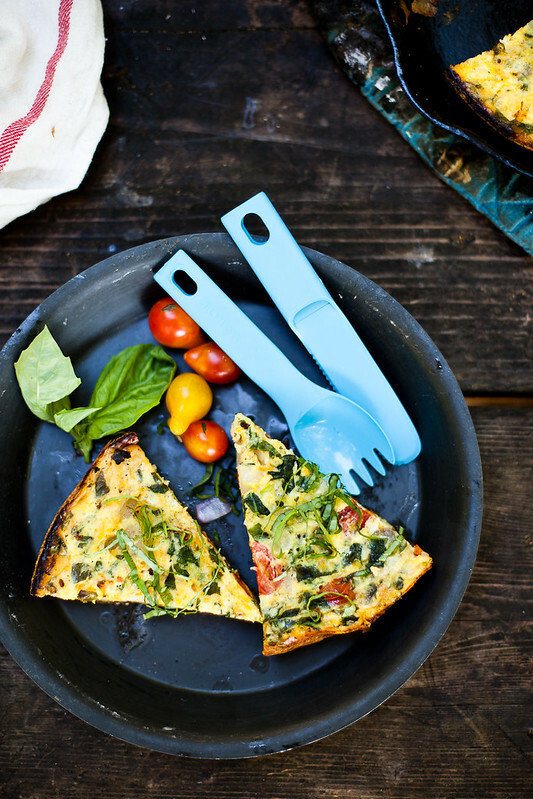 Making a frittata on the campfire was an experiment. I did a lot of research prior to tackling this, but found little about actual frittatas and methods where an open fire is concerned. So I went to one of my favorite places, Mt. Tam, and set up shop at the Pantoll Campground on a quiet Monday afternoon to campfire cook my way through two recipes. It was just me and the rangers and a few curious hikers, who were the happy recipients of my experiments. Days like those are definitely dream job days. 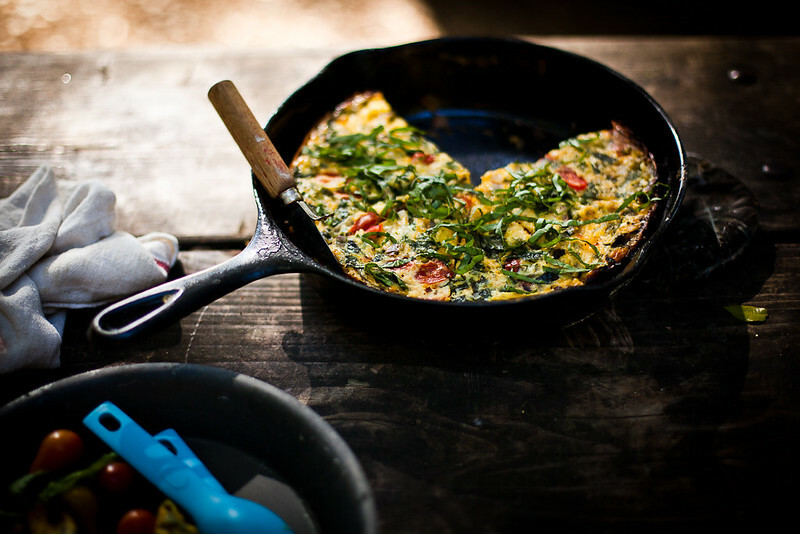 Anyway, the campfire frittata recipe is now up on Alite’s website. Go check it out! And enjoy this last grand weekend of summer, hopefully near a campfire. The frittata is one of my favorite dishes, and not only for breakfast – it’s equally great as a quick lunch or a dinner of leftovers. And it translates well to camping, as long as you’ve got a fire-proof skillet (ideally cast iron) or Dutch oven. When I camp, I opt for ingredients that travel well and aren’t quick to spoil. Cherry tomatoes are preferable to large tomatoes for that reason – the clamshell case that they’re usually sold in keeps them in great shape on the road. The same is true for hard cheeses like cheddar: they can survive without refrigeration, although keeping them in a cool place is ideal. And even an herb like basil is a little more sturdy than something like cilantro, which wilts faster. 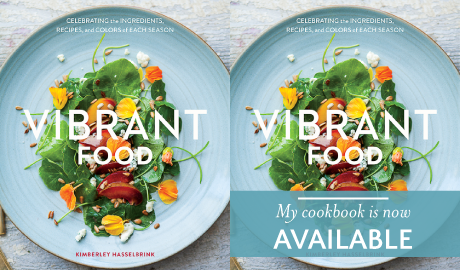 My default when considering what to cook for a weekend of camping is to select ingredients that will survive if the ice runs out on a hot day – and doesn’t that happen more often than anticipated? Another great thing to do for a camping trip is to prep as many of the ingredients as possible in advance. The onion, cherry tomatoes, cheddar and basil can all be diced and sliced at home and stored in small reusable containers or plastic bags. Just bear in mind that if you choose to prep in advance, those items will need to be stored in a cooler. 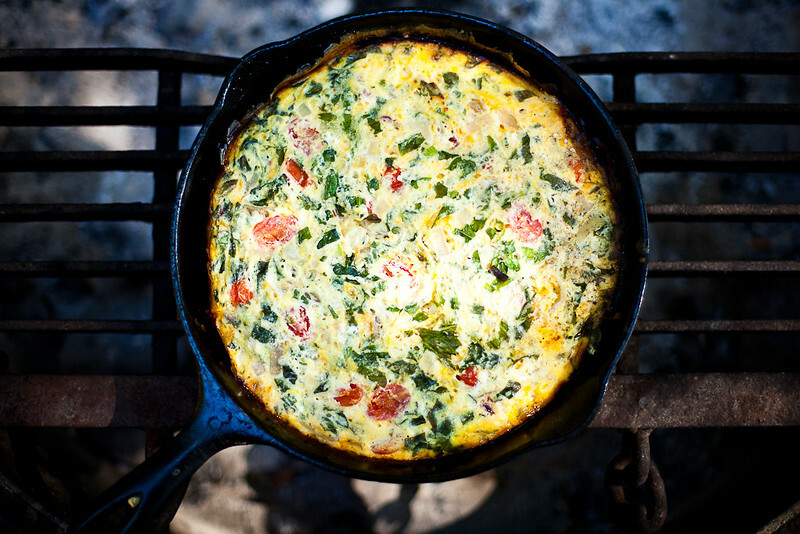 This frittata can be made on a camp stove as well. As noted below, just be mindful of the cooking times and adjust according the heat of your stove or altitude. Now get out there and get cooking in the woods. Note: This dish is ideal prepared on a grate over a bed of hot coals. Because the temperature of a fire can vary wildly, it’s best to take the time measurements below as a guideline and heed your own intuition – check it sooner if it seems like your coals are on the hotter side. Also take altitude into consideration, which will increase cooking time. When your campfire has calmed into a pile of hot coals or a low fire, heat a 10-inch cast iron skillet or Dutch oven (or similar fire-proof vessel) on a grate a few inches above the coals. When the skillet is hot, add a thin film of oil to coat the bottom of the pan. Add the diced onions and saute them until they’re soft, stirring occasionally, about 5-7 minutes. While the onions cook, whisk together the eggs. Add the basil, grated cheddar, sea salt and black pepper and stir to combine. Set aside. 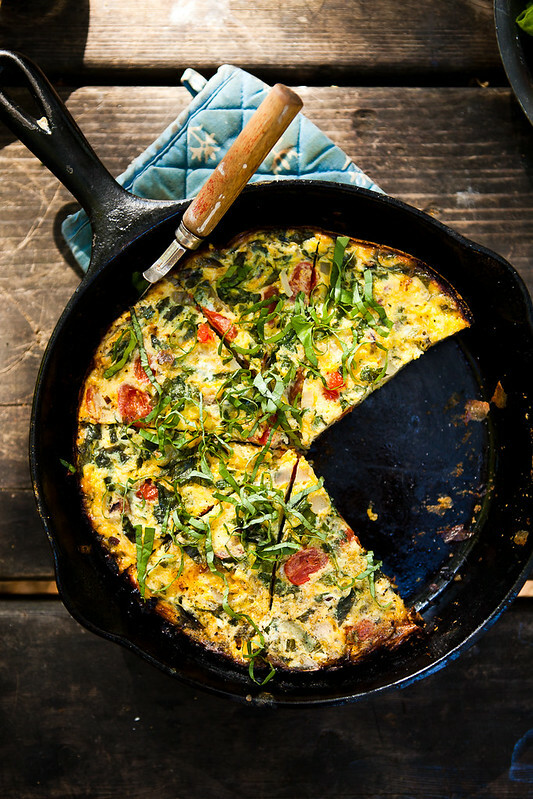 Cook frittata for about 15-20 minutes, until the center has set. Remove lid or foil and let the frittata set for about five minutes before serving. Cut into eight slices. Garnish with thinly-sliced basil, if desired. Since a frittata is traditionally cooked in a dry oven without a lid, this campfire version will retain more moisture – not a bad thing at all, though! 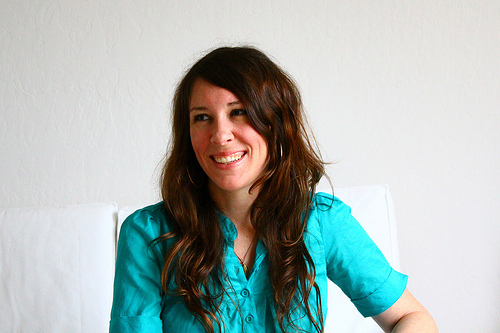 tea_austen - I am giggling to think of you up at Pantoll, recipe testing in the middle of the day. I think you need a backyard fire pit! (um, don’t we all?). But the fritatta looks delish.